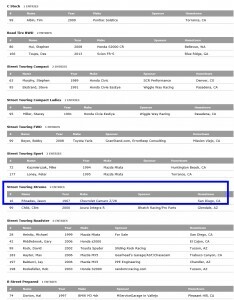 The SCCA San Diego National Tour is coming up March 30-31 - this is my home event on the SCCA National Tour series, and will probably be the car's first live autocross. That only leaves 7 and a half weeks to get this thing together! Entries are still a little light as of today - most people register in the few weeks just before the event. There are 30 registered at the moment, should be 300+ by the time registration is complete. 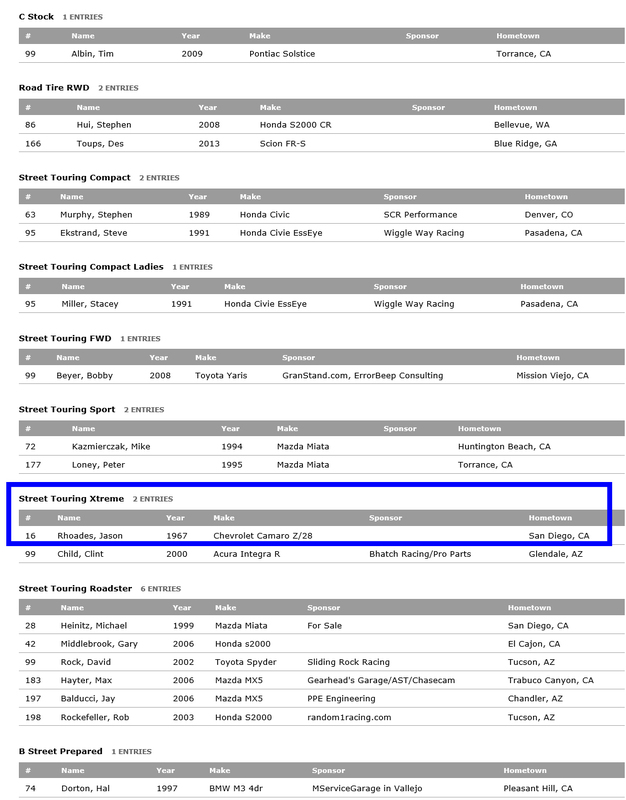 The 2 entrants in the STX ("Street Touring Extreme") class should be 12 or so come race day. Still a lot to do, though the to-do list is slowly shrinking. Watt a pain in the…eye? » « Watts up with the Camaro?